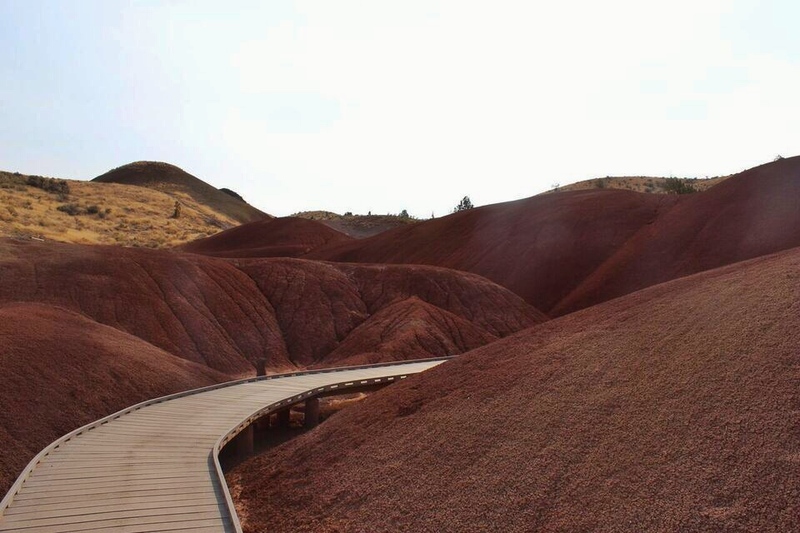 My visit to the Painted Hills, one of the “Seven Wonders of Oregon”. 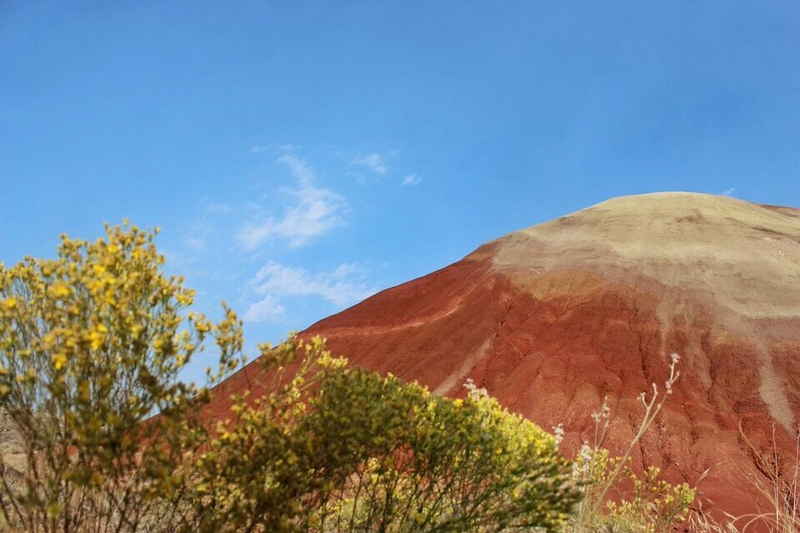 Spectacular scenery with fun, short hikes. The 7 Wonders campaign, launched by Travel Oregon two years ago sure did work. The campaign features Mt. 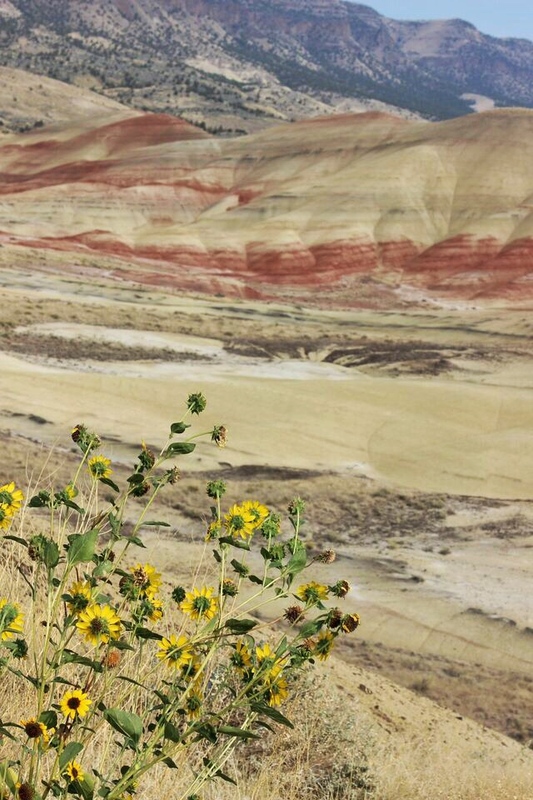 Hood, The Columbia River Gorge, The Wallowas, The Painted Hills, Smith Rocks, Crater Lake and the Oregon Coast. 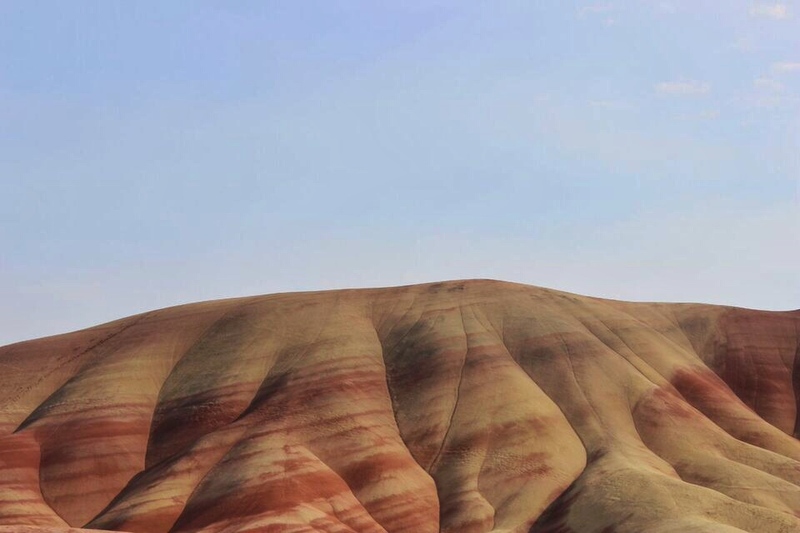 Since launching, visitor numbers across the state are up and the most impressive numbers are at the Painted Hills, where they’ve seen a 50% increase. And I’m one of them! After living here my entire life, I decided it was finally time to visit. It’s a four hour drive from Portland, and two hours from Bend, so we decided to incorporate it into our recent road trip around NE Oregon. We drove in from the East via John Day after spending the night in Prairie City at the wonderful Historic Hotel Prairie. I highly recommend it if you are passing through. The town is small but charming and the hotel has beautiful, modern rooms, a cozy lobby and a communal kitchen for prepping simple meals and making coffee. Everything we needed. 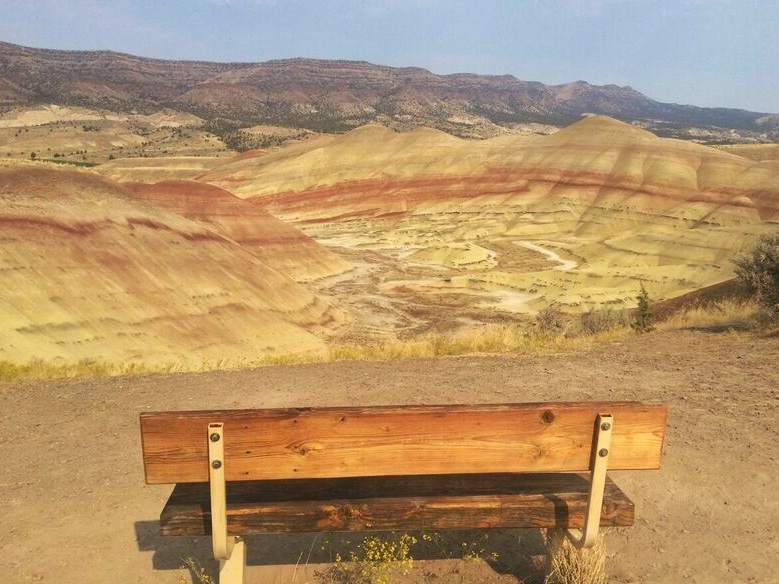 The Painted Hills is just one of three “units” in the John Day Fossil Beds National Monument. After leaving Prairie City, we stopped to see the Sheep Rock Unit (which I wrote about a couple weeks ago) before driving the final 40 miles to The Painted Hills. 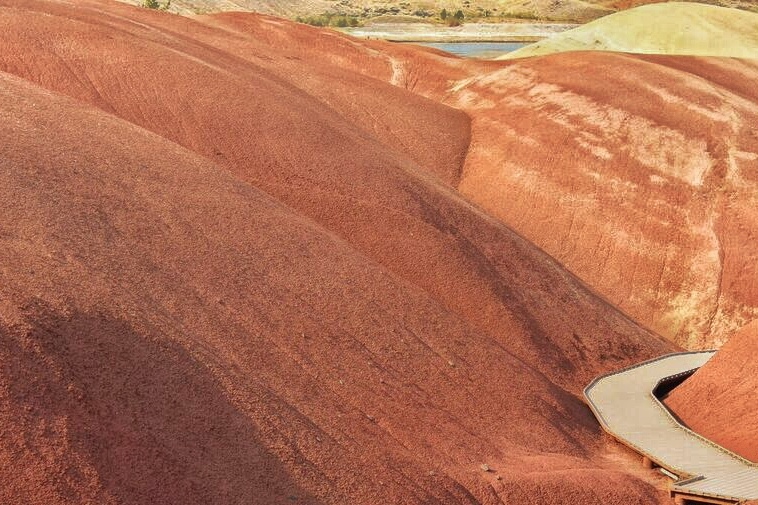 The Painted Hills Unit is made up of 5 short hikes. All except one are very short, less than half a mile, and pretty much flat. We only did three of them because it was pretty hot by the time we arrived and the baby fell asleep: The Overlook Trail, Painted Cove and the Red Scar Knoll. 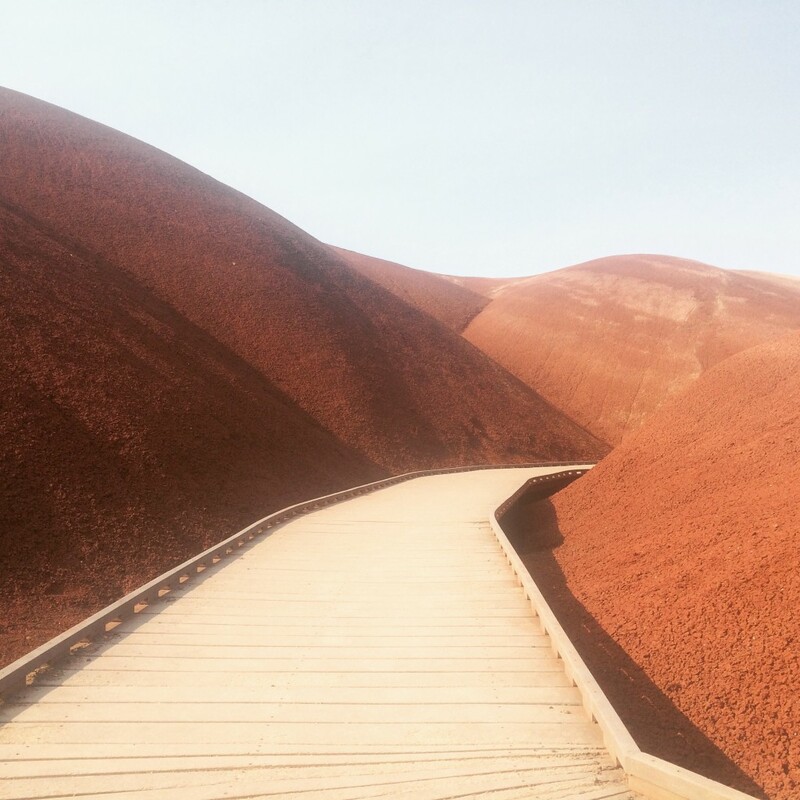 The Painted Cove is the most famous, and includes the wooden boardwalk through the red canyon. An Instagram Classic! I really loved this area. It was exactly what I was expecting since I’ve seen so many photos, but it was beautiful none the less. It would be a great place to stop with small kids, since the trails are so short and fun. Our Little One blissfully napped in the car the entire time while we took turns walking the trails. 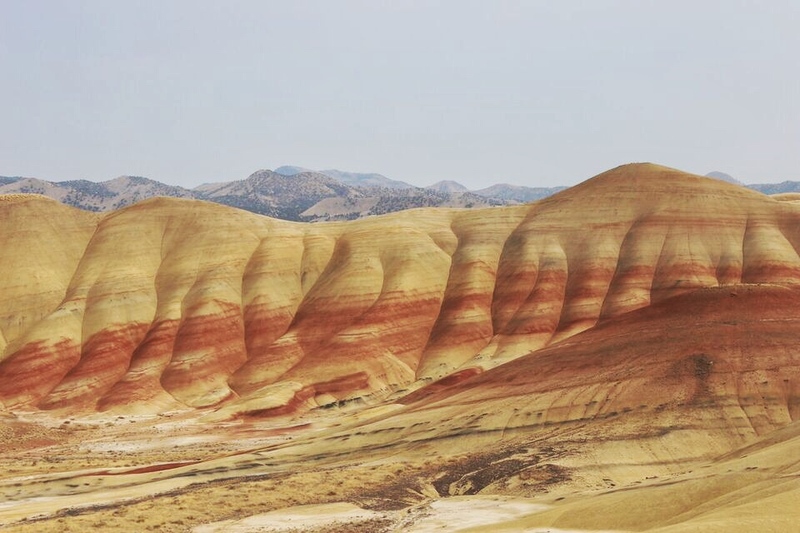 It definitely deserves to be on the list of Oregon’s Seven Wonders. I’ve never seen anything like this. It is worth your time, but I’d suggest incorporating it into your next trip to Central Oregon since it’s just two hours from Redmond, Prineville or Bend. Happy travels!